The Carrera-Podium workshop was founded in 1989 by former professional rider and Carrera team manager Davide Boifava together with LucianoBracchi and Francesco Boifava. The brand was born from the needs of the Carrera Team and its champions Steven Roche, Claudio Chiappucci and Marco Pantani. The workshop had a unique synergy because the professional team worked from the same building and the team riders were built in product testers. The Carrera bicycle brand has a rich history of over 500 victories in the most demanding road races in Europe. Many firsts were achieved at Podium such as the first frame in which aluminum was joined to carbon and the first custom on size carbon frame made in Italy. 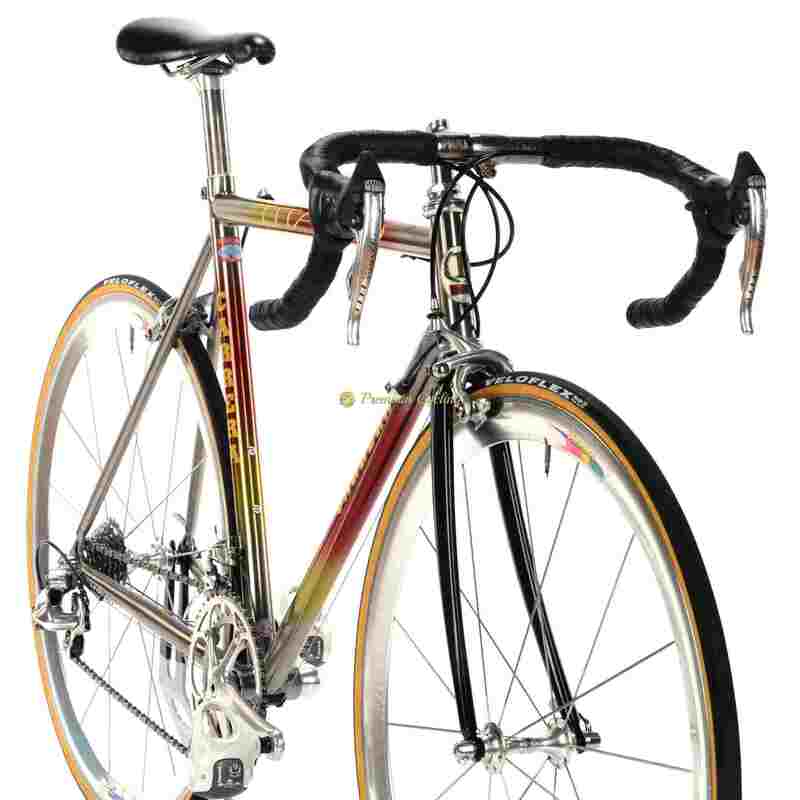 They were among the first to build titanium frame for professional racing and the use of ceramical aluminum to improve the comfort of aluminum racing bikes. From 1990 on, Carrera Team rode these Carrera bikes made by experts who built bikes for Pantani, Chiappucci, Bontempi, Abdoesjaparov, Scinadri and was one of the most famous teams in early/mid 1990s. Proudly presenting this extraordinray racing machine, the CARRERA ”Gold One” Titanio, which dates back to mid 1990s. 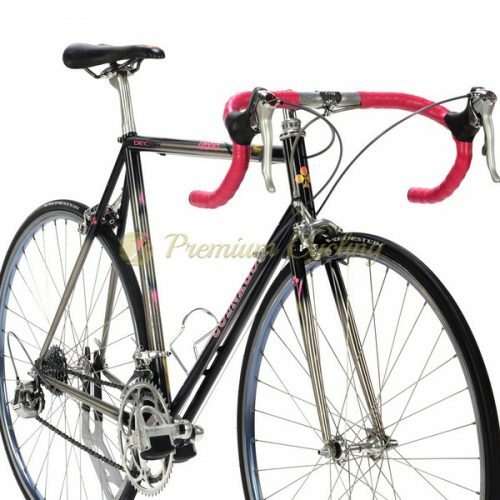 The frame is made of superlight and very stiff titanium tubing with carbon forks and was the reference by which other titanium frames were judged. The cherry on the top of the cake is the setup: superb Campagnolo Record Titanium 8s groupset, beautiful Campagnolo Shamal 1st generation wheelset, 3ttt titanium stem, VOSS titanium seatpost, Flite Titanium sadle. No much words needed. A real jewel. Iconic bike for a fair price. Condition: Used, but excellent condition. All original. The frame has no cracks, no dents and is not bend. Groupset is in excellent condition. All parts are working fine.